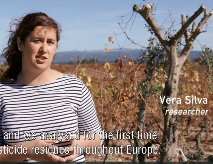 Researcher Vera Silva discusses, in an exploratory video, several aspects of the use of pesticides. Throughout Europe a lot of samples were analysed on pesticide residues. These samples were analysed for around 80 different compounds in each of them. More than 80% of agricultural soils in Europe were contaminated with pesticides residues. She reported that they identified the most contaminated areas. Besides, the video pays attention to problems a vineyard owner has to deal with and it shows also sustainable alternatives.You can watch the video here. 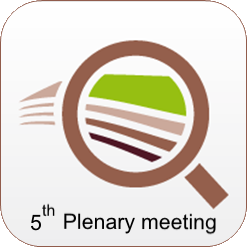 The 5th plenary iSQAPER meeting will be held from Tuesday 11 June – Friday 14 June, 2019 in Ljubljana, Slovenia. The meeting will be held at Biotechnical Faculty of University of Ljubljana located at Jamnikarjeva ulica 101, 1000 Ljubljana, Slovenia. The meeting includes a one day field trip to the experimental field plots of the University. Matjaž Glavan will act as our host. Login and pdf Travel information (995 KB) is available and registration for this meeting is possible.